The summer season is a great time to take advantage of the nice weather and take off from school to spend some quality time with your friends and family. 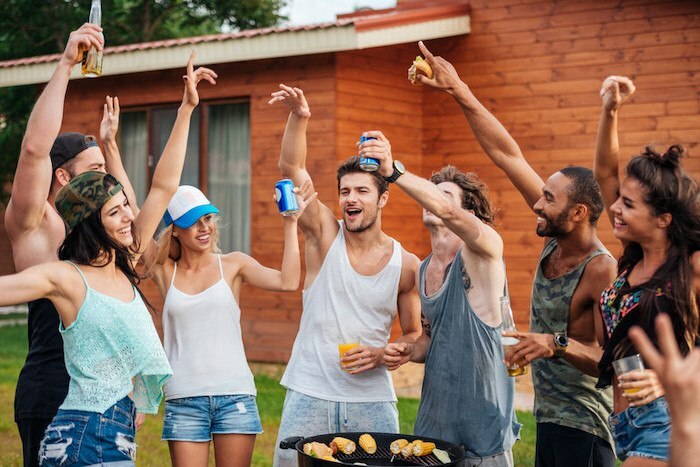 Summer activities include barbecues, camping, baseball games, outdoor festivals, going to amusement parks, and going on road trips. Obviously, there's a lot to discuss here, and these 10 great summer affiliate programs are just the start. My recommendation would be to narrow down your summer activity to be more specific, then do another search, either here on the website (footer), or in Google to find more specific affiliate programs for your website. Summer activities could include the obvious water sports and vacation stuff, but also include things like air condition repair/install, home gardening, destination weddings, and weight loss. Outdoorsy is the biggest and most trusted RV rental platform in the US. They have helped over 1.2 million customers enjoy their vacation or roadtrip in a stylish RV rental. For extra security and safety they provide live customer support, DMV drivers check, 24/7 roadside assistance stents, and up to 2 million dollars in insurance coverage. They use AvantLink to run their affiliate program. Outdoorsy provides their affiliates with banner ads, text links, and comprehensive reporting tools. Their program is open to bloggers, community members, and content sites related to the RV industry. Affiliates earn $60+ on the successful booking from each referral and $60+ on listings from RV owners. Camping Maxx has everything you need to enjoy the great outdoors this summer. They specialize in camping and hiking equipment at the lowest possible prices. They thoroughly test all of their products and must be endorsed by at least three staff members before they add it to their inventory. Their affiliate program is hosted on ShareASale. Camping Maxx gives their affiliates access to a large variety of banner ads, text links, and promotional materials. Affiliates can track their sales and commissions on their easy to use affiliate dashboard. Affiliates earn a generous commission rate on all sales except for their NATO Jerry cans. Al's has been helping sports enthusiasts find the guaranteed best prices on their gear since 1921. They are the oldest sporting goods store in Utah and carry high quality gear from all the top brands for every sport in every season. Their summer inventory includes clothing, equipment, and gear for camping, fishing, running, cycling, and watersports. They have an average order value of $120 with a 4% conversion rate. Al's uses AvantLink to power their affiliate program. They offer dedicated affiliate support, professionally-designed creatives, and access to their product data feeds. They carry lots of high ticket summer sports equipment like bikes, kayaks, and canoes which can drastically increase order sizes and commission payouts. Sunnylife was founded to share Australia’s chic summer lifestyle with people all around the world. They have grown into the top outdoor lifestyle company in Australia. Their product line includes fun summer accessories for the beach, home, backyard, and pool. They have teamed up with Rakuten Marketing to run their affiliate program. Sunnylife works with each of their affiliates to develop a partnership that suits both of their objectives. They supply a large range of text links, banner ads, deals, promotions, and access to their frequently updated product data feeds. Affiliates can also promote their free shipping option on all orders over $100 even to the US. Worldwide Golf Shops owns some of the biggest discount golf equipment retailers including Golfers Warehouse, Edwin Watts Golf, and The Golf Mart. They are an authorized dealer for all the top golf brands and offer a huge selection of golf gear, accessories, and apparel. Customers receive a 90 day 100% satisfaction guarantee on all equipment purchases. Affiliates can sign up for the Worldwide Golf Shops affiliate program with AvantLink. They provides their affiliates with their detailed data feeds with thousands of products to promote and optimized marketing materials. They also offer weekly promotional deals and regular affiliate incentives. Affiliates can earn up to 9% commissions for cumulative monthly sales of $10,000+. SwimOutlet.com is the most popular online swimming, surf, beach, and water polo specialty shop. They offer the best value on their wide selection of swimming products and gear. Customers receive a low price guarantee, free shipping on orders of $49+ and free 1-2 day shipping on orders of $99+. They use Rakuten Marketing to manage their affiliate program. SwimOutlet.com provides their affiliates with all the marketing materials and affiliate tools needed to start promoting right away. Their dedicated affiliate management team is available to help answer any questions and offer advice on how to make the most out of their program. They are committed to providing the best online shopping experience which has earned them lots of satisfied, repeat customers. Eartheasy is the top eco-friendly retailer in the US. They help people learn how to become more self-sufficient like growing your own food in your backyard, patio, or even indoors. Their gardening supplies include seeds, complete garden kits, raised garden beds, planters, greenhouses, and composters. They have an average order size of $200 with a 2% site conversion rate. Eartheasy gives their affiliates access to creatives and state of the art tracking tools on AvantLink’s affiliate management platform. Affiliates can earn even higher commissions on wholesale brands like EcoZoom, Scrubba, and Lifestraw. It’s important to note coupons and deal sites only earn a 3% commission rate. Barbeques Galore is the biggest outdoor living and grill retailer in the US. They manufacture their own innovative grills as well as carry products for the top brands like Green Mountain Grills, Big Green Egg, and Weber. They offer low price guarantees, $49 flat rate shipping on grills, and easy returns. They've partnered with Pepperjam to oversee their affiliate program. Barbeques Galore supplies their affiliates with high quality banner ads, text links, suggested keywords, and comprehensive reporting tools. They also create frequent exclusive affiliate only coupon codes to help increase conversion rates. Affiliates can also promote their seasonal specials, deals, and gift buying guides. SeaWorld Parks helps create memories that will last a lifetime. They are a leading entertainment company with 11 unique theme parks in top tourist destinations. Their rescue teams at Busch Gardens and SeaWorld have helped over 34,000 animals over that past 50 years. They use Commission Junction to run their affiliate program. SeaWorld Parks has a high average order size and historically high website conversion rates. Affiliates can utilize any of their pre-made marketing materials to help them promote. Affiliates earn commissions on annual passes, fun cards, single day, and multiple day tickets. AwesomeSeating.com has been helping fans attend their favorite concerts, theatre, and sporting events for over 11 years. They have access to more than 7 million tickets to 60,000 events around the world. Customers can search for their inventory of the lowest ticket prices online for the best possible seats backed by a 100% guarantee. They have an average ticket order of $445. Affiliates can sign up for the AwesomeSeating.com affiliate program with ShareASale. They have created a library of banner ads, text links, and promotional content to help their affiliates increase their conversion rate. They have the longest cookie life, 180 days, in the ticket industry. Now that you've found 10 great summer affiliate programs, it's time to pick a niche to target. You could focus on summer camping gear. Camping Maxx has a great selection of camping gear at affordable prices. Affiliates earn a generous 10% commission rate. Summer lifestyle products like beach and pool accessories is another great niche idea. Sunnylife carries the hottest outdoor summer gear and accessories. They offer their affiliates a 7% commission rate. This might pair well with a vacation-related niche. You could also target summer garden supplies. Eartheasy offers a great selection of gardening tools to help you grow your own food. Affiliates receive 10% commissions on all sales. Everyone loves spending time in their backyard during the warm summer months!